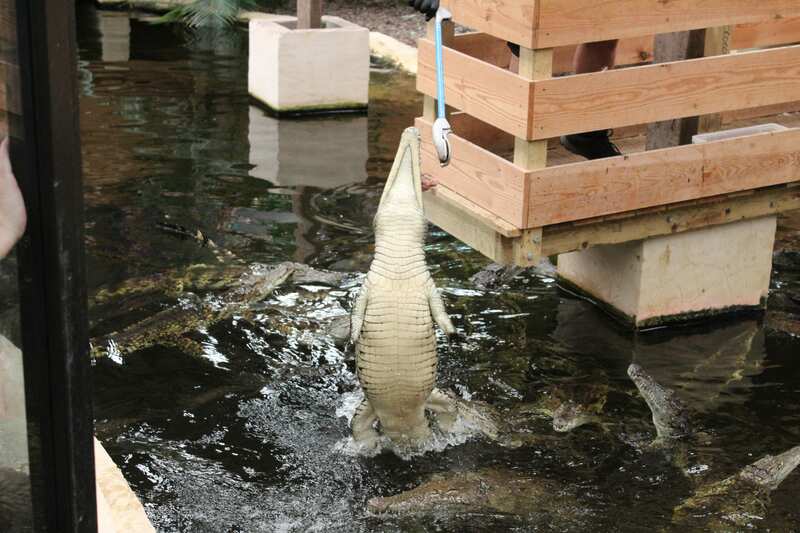 Watching our Nile crocodiles jump for their feed is a highlight of any visit. Now you can be part of the action and actually help feed them from our feeding platform. 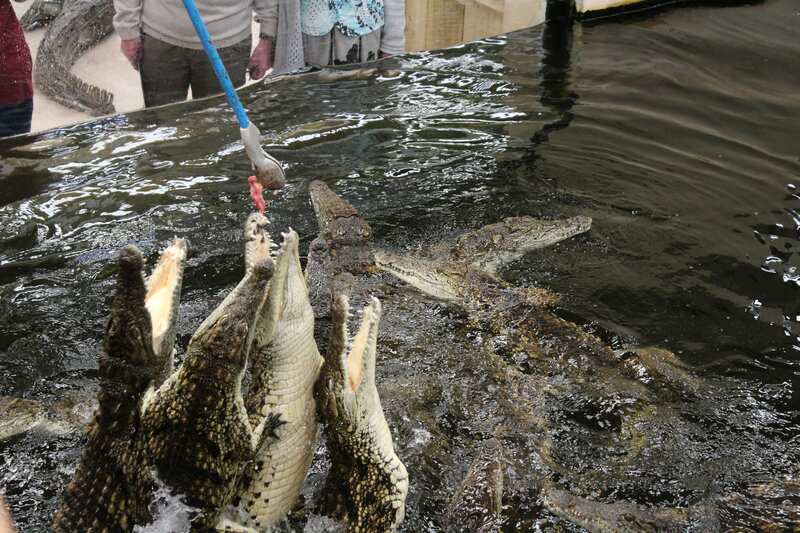 Our Nile Crocodile Feeding Experience gives you a unique opportunity to have a go at feeding some of our hungry Nile Crocodiles and witness their speed and power from our secure elevated feeding platform. This incredible experience is available everyday of the week and is limited to one person per session. *Please note that this is only suitable for children aged 14 years and over. Please also be aware that crocodiles are carnivores and therefore will be fed on dead animals such as mice, rats, chopped chicken and fish. Gloves will be provided. If you want to buy this Keeper Experience as a gift and let the recipient book their date, please buy a Gift Voucher here. To avoid disappointment we do advise that you pre-book your place, but subject to availability you may be able to upgrade your ticket on the day at our admissions desk. Your session will begin with a safety briefing. You will then enter the Nile Crocodile Feeding platform. Feed them their favourite food. Discover where they are from, and all about the species. Pricing *Dates being released soon. General admission is included in the experience. Appropriate closed toe footwear must be worn for this experience. Maximum of 1 participant per experience. Children must be at least 14 years of age and under 17’s must be accompanied by an adult. 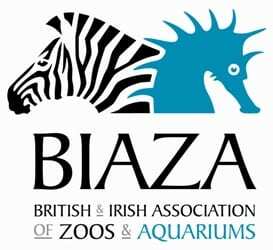 Each adult needs to pay normal zoo admission prices and must remain by the enclosure throughout the duration of the experience. Participants must listen to the keeper at all times. Your safety as well as the welfare of all animals is our upmost priority. The keeper can stop the encounter or ask participants to exit the enclosure at any time should they feel it necessary. Disabilities: Whilst we make every effort to accommodate those with a disabilities and/or learning difficulties, due to practicality and health and safety concerns this may not always be possible and the Nile crocodile feed experience falls into this category. We therefore advise you to contact Crocodiles of the World prior to booking to discuss individual circumstances. Unfortunately there is no wheelchair access available for this experience. Participants must be able to stand unaided for a minimum of 30 minutes and those with learning difficulties or visual impairment who are able to participate must be accompanied by a carer who takes full responsibility for the adherence of health and safety and welfare protocols. Accompanying carers cannot participate in the experience. Please note that the Keeper can stop the experience at any time if he/she deems it necessary. 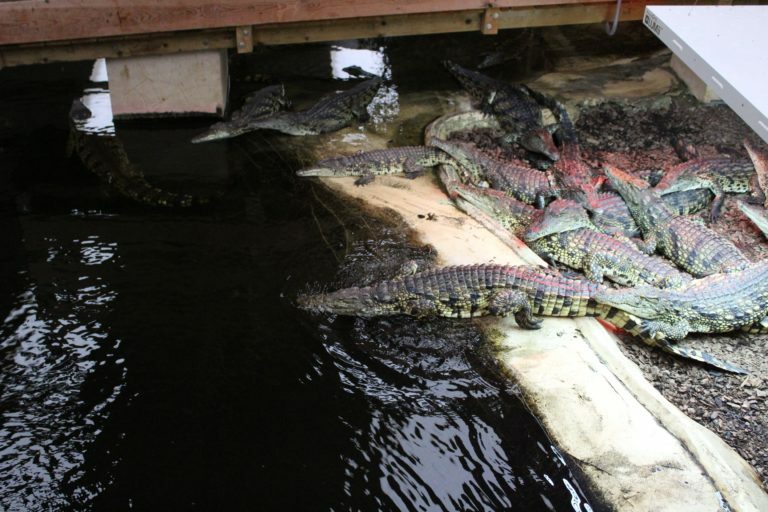 Crocodiles of the World reserve the right to cancel the experience at any point for animal welfare reasons.